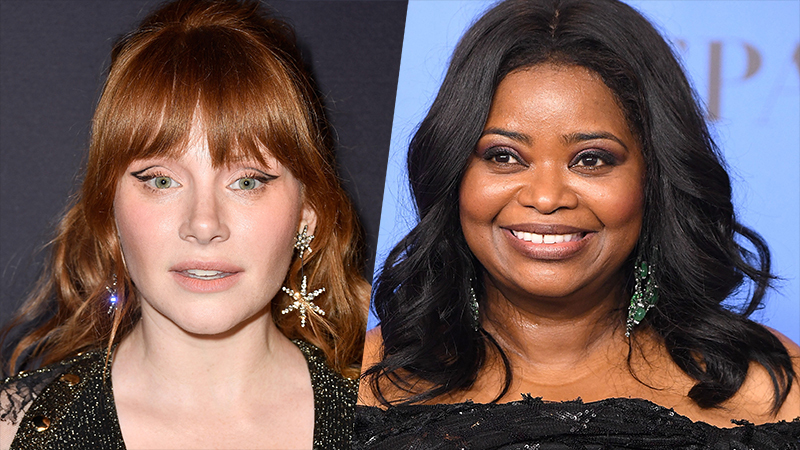 Golden Globe nominee Bryce Dallas Howard (As You Like It) and Oscar winner Octavia Spencer (The Help) will be teaming up on Universal’s female ensemble comedy Fairy Tale Ending, Deadline has confirmed. The former The Help co-stars will be producing the project alongside Seth MacFarlane (Ted). Howard’s recent roles include Jurassic World and last year’s follow-up Jurassic World: Fallen Kingdom, Pete’s Dragon, Gold, and Netflix’s Black Mirror. She currently has a voice role in A Dog’s Way Home, and upcoming projects include the Elton John musical fantasy Rocketman and Jurassic World 3. Spencer won an Academy Award for Best Supporting Actress in The Help and was also nominated in the category for her parts in Hidden Figures and Guillermo del Toro’s Oscar-winning film The Shape of Water. Since then, Spencer has starred in A Kid Like Jake, Instant Family, and The Goldbergs. Her upcoming projects include Are You Sleeping, Luce, Onward, Madam C.J. Walker, The Voyage of Doctor Dolittle, and the horror thriller Ma from Tate Taylor and Blumhouse. Howard will produce Fairy Tale Ending via her Nine Muses Entertainment label alongside Eric and Susan Carlson. MacFarlane will produce alongside Erica Huggins for their production company, Fuzzy Door, and Spencer is executive producing alongside Hecht and McMillan. Erik Baiers, the EVP of Production for Universal, will oversee the project.